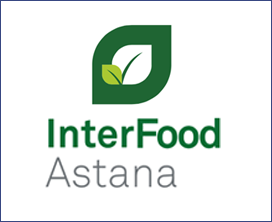 It is for many years already that InterFood Astana has been a mirror reflection of Astana’s grocery stores and supermarkets and also a significant event in the Kazakhstan food market. A signature feature of the exhibition is an integrated approach to presentation of the industry’s achievements – from foodstuffs to technology and manufacturing equipment. Fast growth of the Kazakhstan food industry and retail unlocks tremendous opportunities for national and foreign suppliers. Each year, the exhibition brings together foodstuffs manufacturers and distributors, managers, manufacturing engineers, development and marketing experts, wholesale buyers, retail chains, shopping centres, stores and restaurants. Key Event As its key event, InterFood Astana will feature a professional tasting competition of foodstuffs and drinks entitled Traditions of Quality. Winners will be awarded golden medals and diplomas and granted the right to place the medal’s logo on the award-winning product’s label and refer to the fact of being an award-winner when advertising their products. By taking part in the tasting competition, manufacturers validate the quality of their products with special marks of distinction, which raises the buyers’ level of trust therein.